To help kick start the season, we are proud to present the eighth annual edition of Greenhead. We spread our content far and wide for 2017, obliging readers who asked for stories from different, perhaps less-traveled, areas of the state. 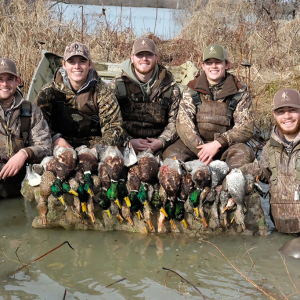 Greenhead editor Brent Birch with hunting buddies on a good day at Button Willow. (L-R) Randy Pierce, Andy Vondran, Rob Tiffee, Birch and Chris Monroe. Coming off a mild but somewhat productive 2016-2017 duck season, we’ve reached the time of year when the upcoming opportunities afield start crossing our minds. 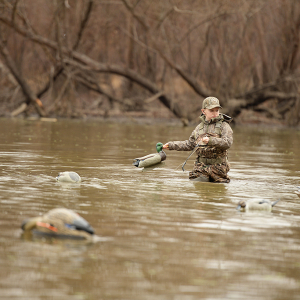 The inverse association of Arkansas’ August heat with daydreams of December cold fronts is part of what makes duck hunting so special. Seems like we only got two real good cold snaps last year and they rolled out as fast as they arrived. 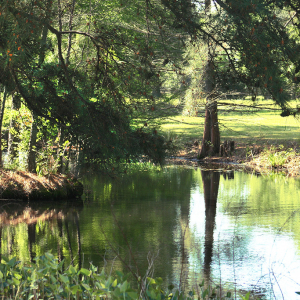 There were just enough ducks to keep it entertaining and the water levels didn’t get too out of hand. 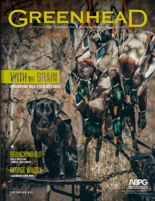 Managing Editor Todd Traub breaks down the successful Mallard Masters event in Augusta and informs readers on the work of the Arkansas Rice Council and its hand-in-hand efforts with Ducks Unlimited toward conservation and hunting. 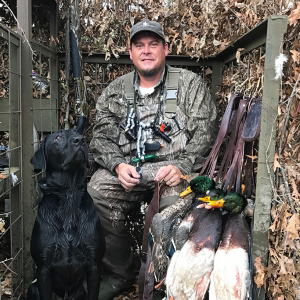 Contributor Dwain Hebda pitches in biographical pieces on Arkansas Outdoor Hall of Famer Dr. Doyne Williams of the famed Bull Sprig Duck Club and the unique story of firefighter turned duck guide Buster Cooper of Bust-a-Duck Guide Service in Gregory. Hebda also recounts the efforts of the Grand Prairie Historical Society and the Museum of the Grand Prairie to preserve the history of a region that has been home to so many hunters through the decades. 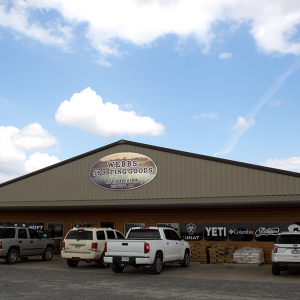 For those who like their boats and gear, Mark Friedman shares success stories of North Little Rock’s Fort Thompson Sporting Goods and the country’s leading Havoc boat dealer, Shandon Nichols of Mighty White Marine in Augusta. 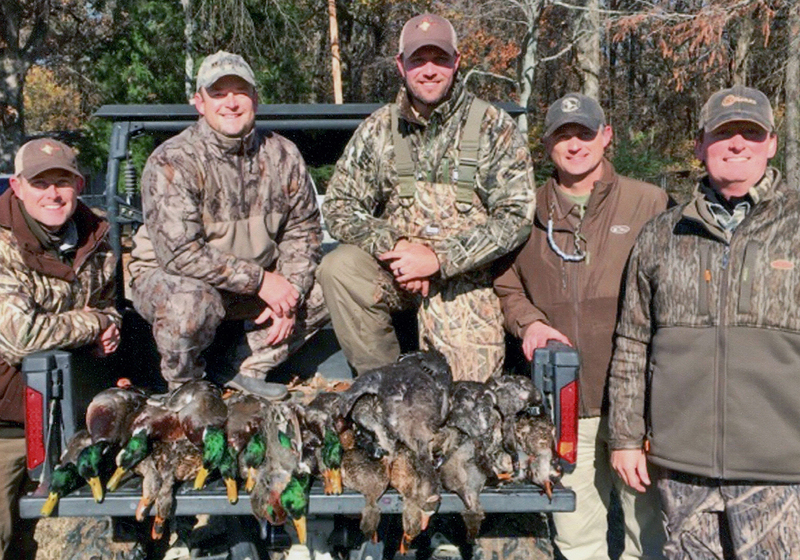 Readers will learn of the controversial but necessary Arkansas Game and Fish Commission greentree reservoir management plan, which aims to protect these delicately balanced duck habitats. Food producing oaks in the state managed properties are in trouble and the plan is a must to ensure hunting success for future waterfowlers. 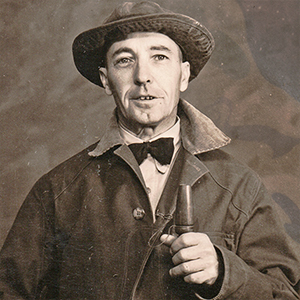 George Wilcox is perhaps the most well known Arkansas duck hunter of the 1930s. My story recounts his early conservation efforts to protect wintering mallards in the White River bottoms near Crockett’s Bluff. Thank you, thank you, thank you to our advertisers, whose numbers seem to grow with each edition. Hats off to our sales team of Bonnie Jacoby, Greg Churan, Brandi McDermott and Alicia Sandage for a record-breaking effort on this year’s issue. 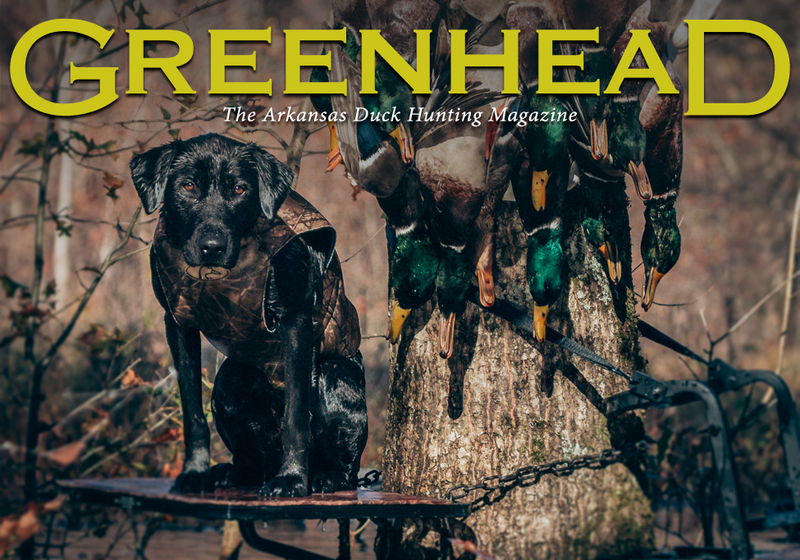 We appreciate the efforts of our content and design team, because without “stuff you don’t get anywhere else” designs, layouts and images, Greenhead wouldn’t be the fan favorite publication it has become. To affirm the humbling popularity of the magazine, last year’s edition won the “Nichee” Award for Best Niche Hobbyist Magazine from the Niche Magazine Awards. We hope you enjoy the magazine as much as we do putting it together. Here’s to a great 2017-2018 duck season and I hope to see you at the second annual Arkansas Waterfowler’s Hall of Fame event on Nov. 30. 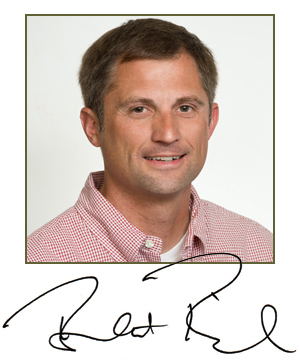 For details and tickets, please visit ArkansasWaterfowlerHallofFame.com.